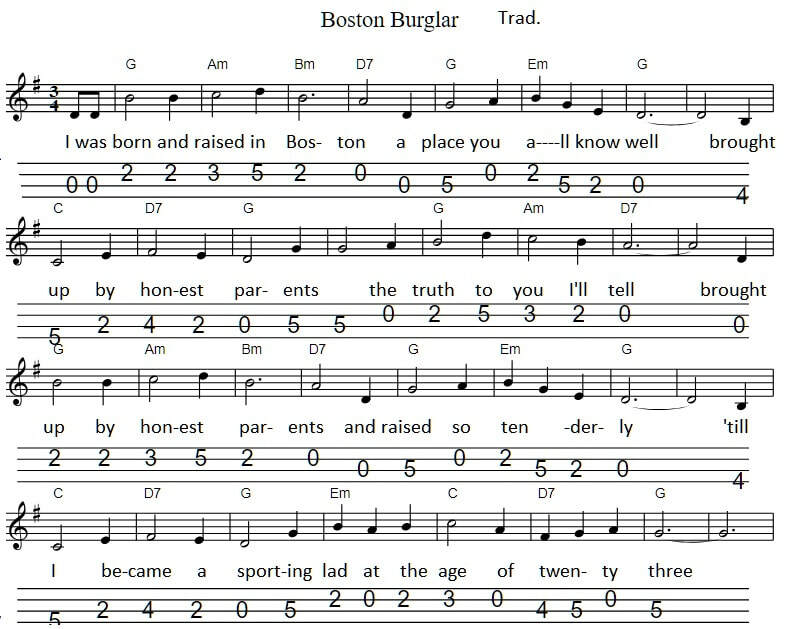 The Boston Burglar song was made famous in Ireland by Johnny McEvoy, but it was recorded first by Delia Murphy back in the early 1940's. Johnny recorded it in 1967 and the song went to No.1 in the Irish charts. The song comes from the United States. The chords are also included in this version in the key of G.